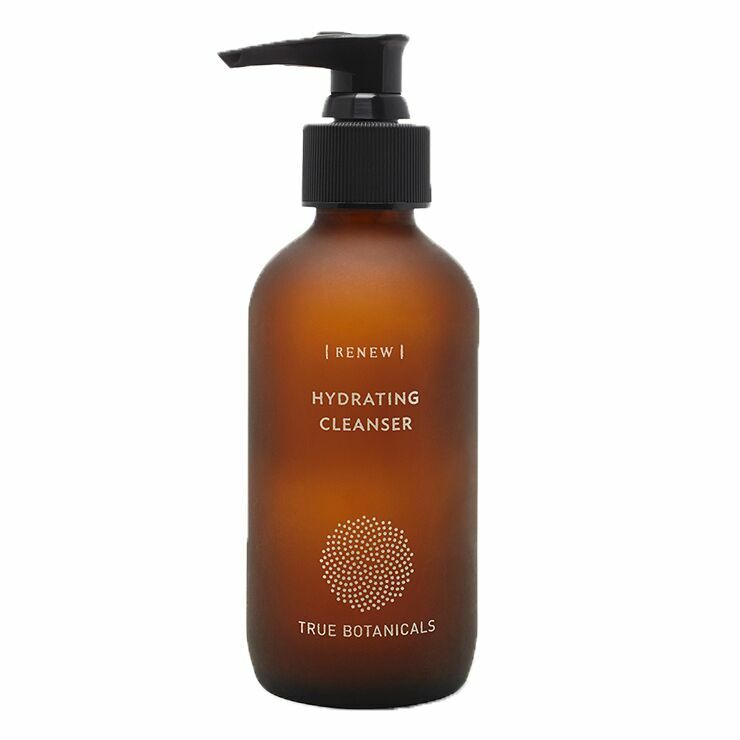 Cleanse away makeup and impurities without drying the skin with Renew Nourishing Cleanser by True Botanicals. Antioxidant rich green tea seed oil offers a feeling of non-greasy hydration while binding to dirt and debris for a feel of deep down cleansing. Green and white tea leaf extract lend a protective feel from sun damage and pollution, boosting a look of healthy skin. Aloe vera makes the complexion feel soothed and calmed with a hit of cooling moisture. A gentle cleanse for skin that leaves behind a look of radiant glow. Massage cleanser onto damp skin, working in a circular motion. Rinse with warm water and pat dry. Follow with a lightweight daily or nighttime moisturizer. Camellia Sinensis (Green & White Tea) Leaf Extract*, Camellia Oleifera (Tea) Seed Oil*, Water, Glycerin (Vegetable Glycerin)*, Sucrose Cocoate (From Sugar Beet & Coconut), Cocamidopropyl Hydroxysultaine (From Coconut), Aloe Barbadensis (Aloe Vera) Leaf Juice, Xanthan Gum, Phenethyl Alcohol**, Ethylhexylglycerin**, Simmondsia Chinensis (Jojoba) Seed Oil, Lavandula Hybrida (Lavender) Oil*, Citrus Grandis (Grapefruit) Peel Oil, Jasminum Sambac (Star Jasmine) Flower Extract, Andropogon Zizanioides (Vetiver) Root Oil*.